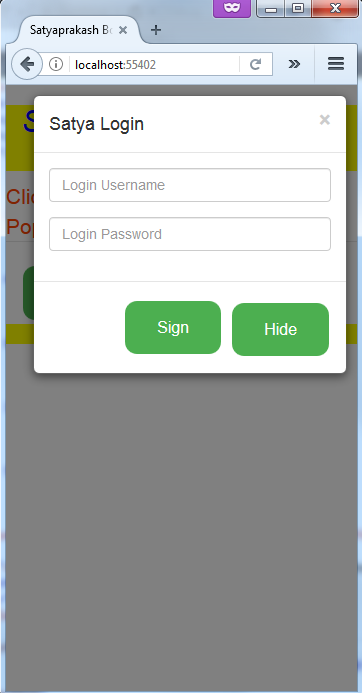 We are using modal ('show') and modal ('hide') methods to show and hide the login modal. We can show and hide the modal using the methods provided by Bootstrap Modal plugin. Then create a view file named "ModalPopUp.cshtml". <div class="modal fade" tabindex="-1" id="loginModal"
I have added code for a button to perform modal popup. I have added code for the modal form to appear in a fade style. Here is the code for size of the modal. For cross symbol button in header part. Here I added css style to add style in buttons. By clicking hide button Or Cross Mark on header it will be hidden. What is Modal Popup in bootstrap? 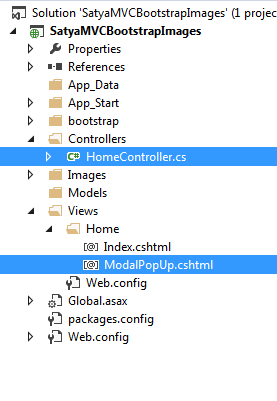 How to get it with Asp.net MVc.